Reducing operational risk is naturally an important consideration in real estate investments. Pereview is helping to make that process easier with the introduction of a cloud-based platform designed specifically for real estate investment professionals. With this new platform, real estate professionals can increase operational efficiency while reducing reputational risk. At the same time, core manual processes can be automated. In a highly competitive industry, Pereview is actually the only software solution that offers coverage of the life of the asset. This coverage includes underwriting, acquisitions, asset management, closing, dispositions, and fund management. The platform was built by a team from Goldman Sachs/Archon via a consulting agreement. 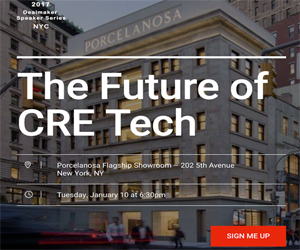 While other industries have taken advantage of the opportunity to leverage technology to streamline operations and automate routine tasks over the past few years, delays have plagued the real estate industry. Instead, many real estate firms have continued to rely on Excel. Peereview is helping to change that by giving real estate professionals a better way to manage their business operations. In the acquisition sector, real estate professionals can enter transaction information and track that information from the beginning of a deal. Other departments can leverage this valuable information throughout the acquisitions process, as well as after the deal has closed. Pipeline reports are automated on a weekly basis, allowing transaction information to be made readily available. All property types, as well as equity and debt transactions, are supported by Pereview. Underwriting assumptions are also streamlined. While organizations have had little choice but to leave such information in Excel spreadsheets in the past, the Pereview system makes it possible for underwriting assumptions to be stored centrally. As a result, reporting for underwriting projections can be handled with just a single click. Leverage is common in most transactions, meaning that real estate professionals must not only track the status of a transaction but also the related financing. Fortunately, Pereview is designed to support refinancing, fund-level debt, financing, and a variety of other types of financing instruments. All it takes is a click to discover how many deals are linked to certain lenders, the amount of debt that will need to be refinanced over a period of time, and the debt position of a portfolio. Tracking documents and tasks related to closings also becomes simpler with Pereview. The platform makes use of closing checklists and configurable workflows to automate critical closing activities. Thanks to the inclusion of the Pereview Document Management function, all closing documents are completely linked. Pereview also offers asset management that combines property accounting with statistical information, tenant/lease data, valuations, budgets, financing, and much more to make the job of the asset manager easier. Since all of this valuable information is contained within a central location, reporting can be handled with the click of a button. By automating spreadsheet processes, Pereview gives real estate professionals the ability to focus more on increasing returns and less on manual tasks.